The Staghorn Fern, like many orchids, is an epiphyte – growing on the sides of tree trunks, rocks and walls in nature. 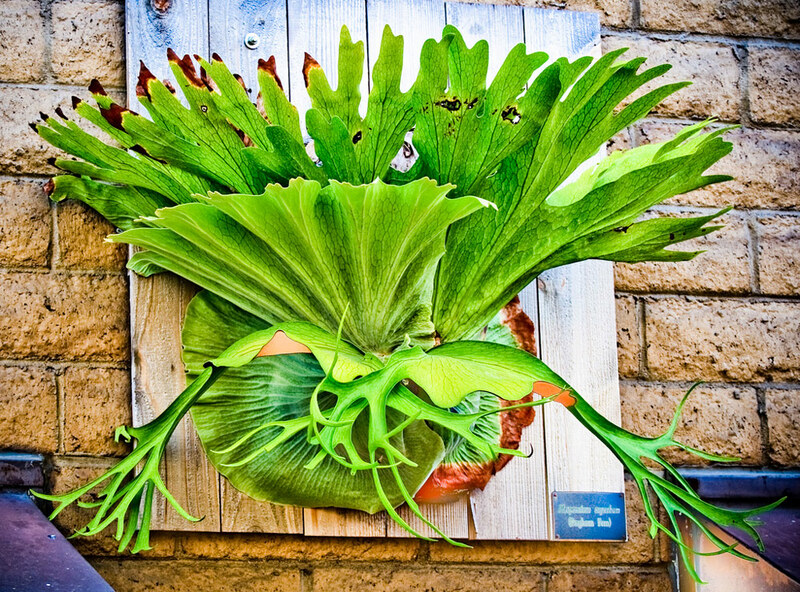 In and around the home, Staghorn Ferns are usually grown mounted on a piece of wood or in a wire hanging basket. Either choice requires outstanding drainage because the roots are very susceptible to root rot. Sphagnum moss and pine bark are regularly used as planting media. When mounted on a piece of wood, the Staghorn Fern is typically placed on the surface of the wood and sphagnum moss is mounded around the base of the plant to hold moisture around the root system. Spagmoss brand New Zealand sphagnum moss is a perfect product for this application. Users love working with Spagmoss because it is the cleanest, softest sphagnum moss on the market. Free of the annoying sticks and “prickles” typically found in Chilean moss, you won’t have to worry about wearing gloves to protect your hands and you won’t end up throwing away any product because Spagmoss is completely consistent from the first strand to the last. A great example of board mounting can be seen in the video below. When grown in a hanging basket, the basket is typically first lined with sphagnum moss and filled with a combination of sphagnum moss, pine bark and perhaps some potting soil. Again, the softness and cleanliness of Spagmoss make it a great choice in this application. When mixed with Orchiata, you have a great potting medium for filling the basket. Power+ (1/2” – 3/4”) and Super (3/4” – 1”) are popular grades for Staghorn Ferns.